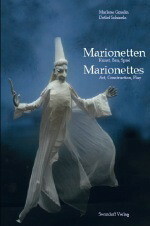 We put the marionettes at your disposal, no prior knowledge is necessary. 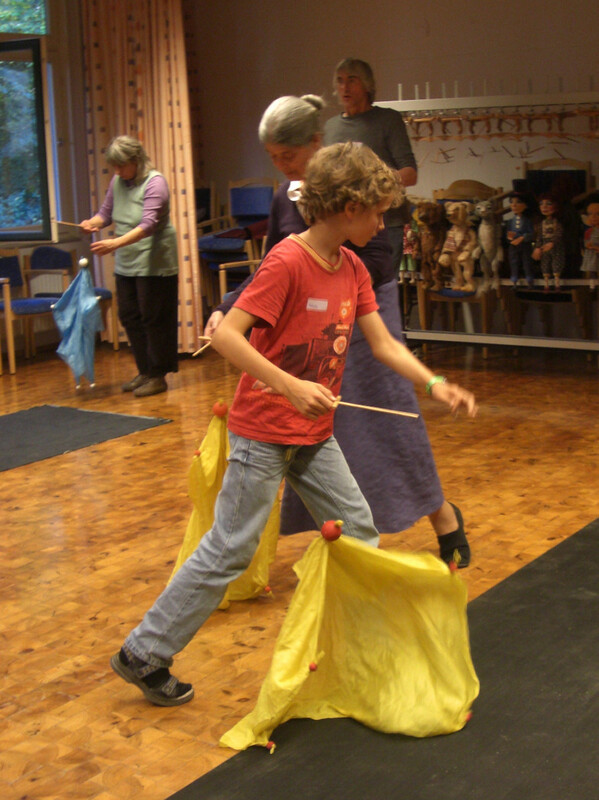 The course starts on Friday afternoon with coffee and cake and ends Sunday after lunch. 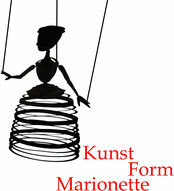 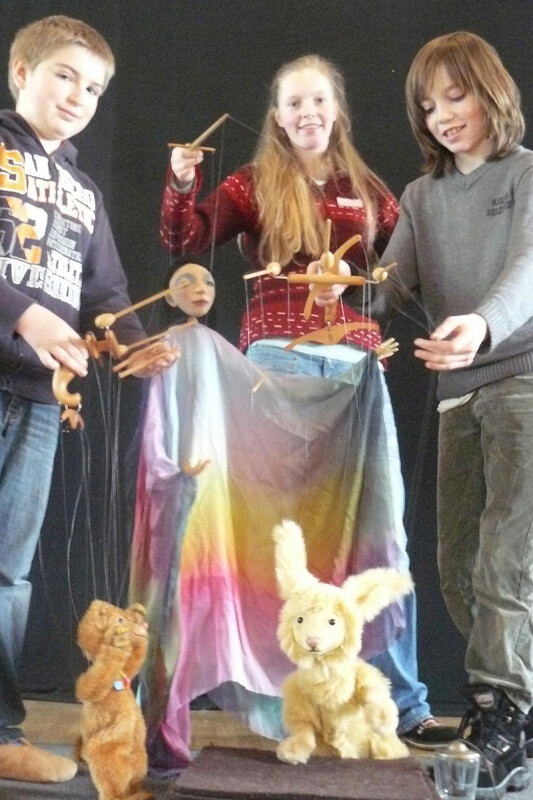 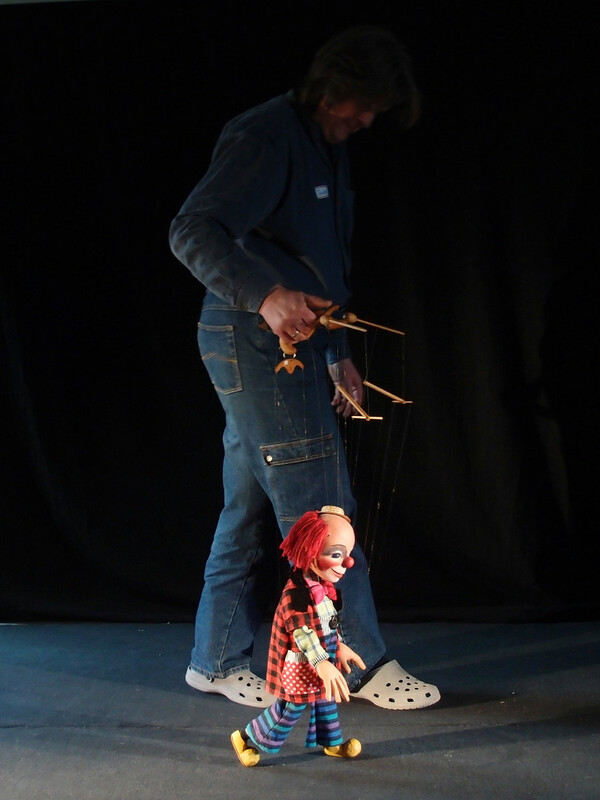 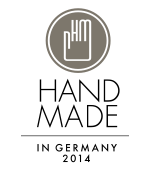 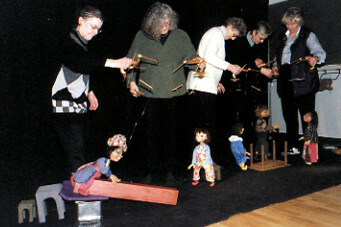 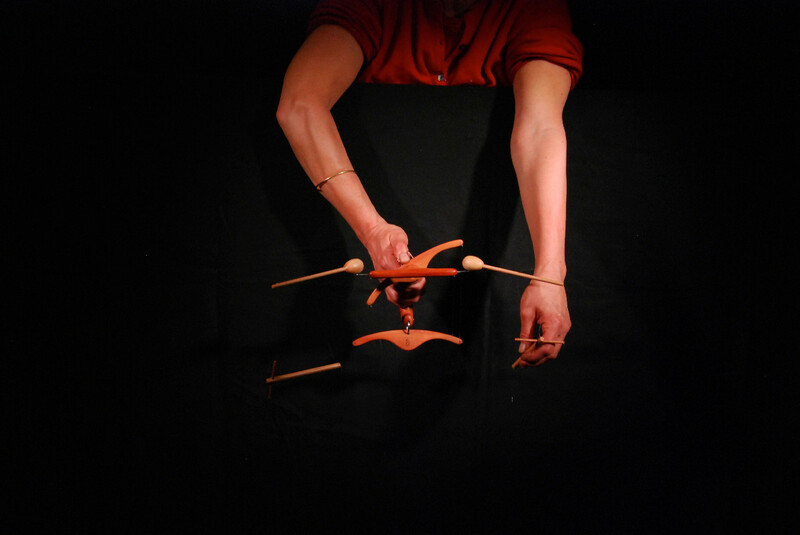 At the beginning we impart the participants a certain feel for playing the marionette with preliminary practice. 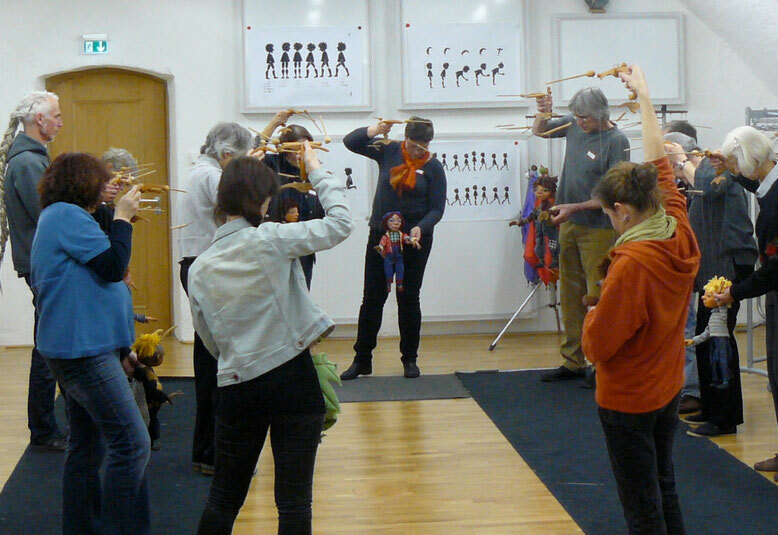 Accompanied by music, the participants learn how to make expansive movements with cloth marionettes. 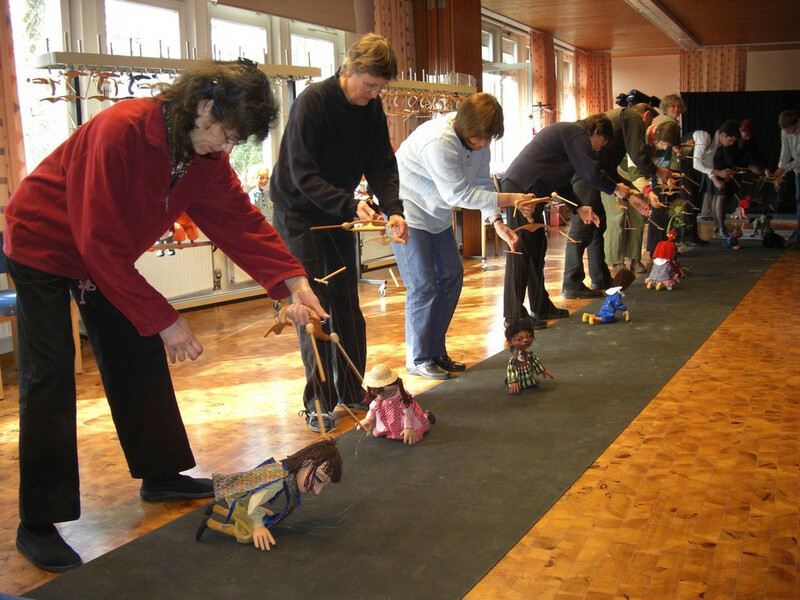 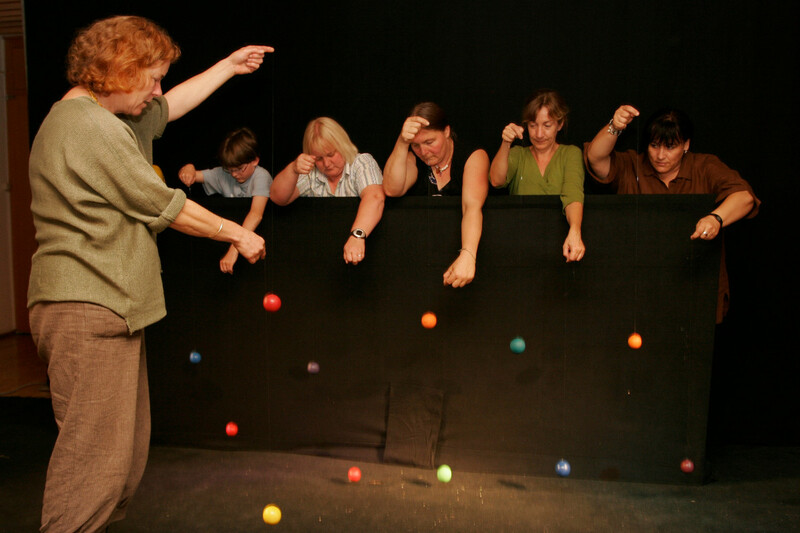 We explain the different ways of moving and turning the marionette and practice every single movement individually, for example walking or turning the marionette’s head. 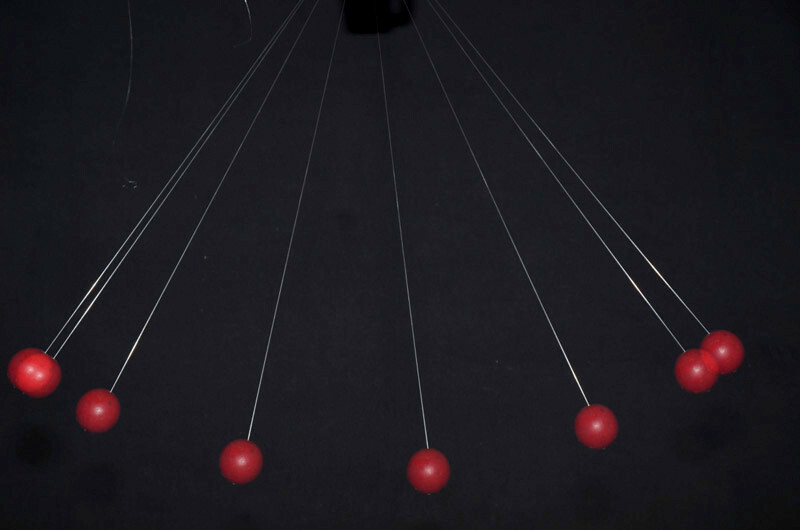 Later, the movements are combined with each other in such a way that motion sequences and play scenes can be created. 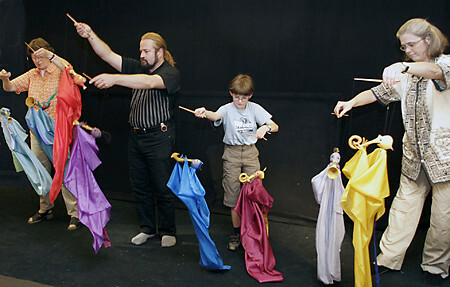 These will also be acted out on stage in a final performance on Sunday.